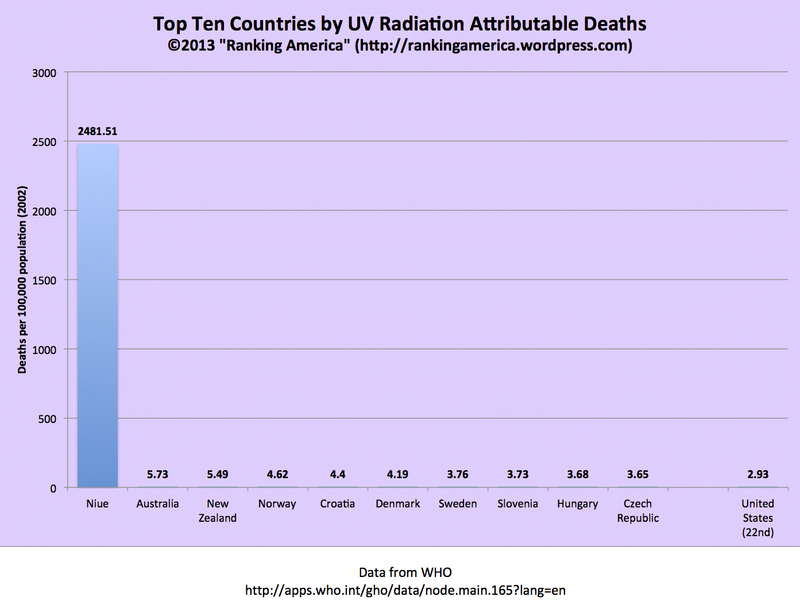 According to the World Health Organization, in 2002 the United States had deaths attributable to ultraviolet (UV) radiation at a rate of 2.93 per 100,000 population. 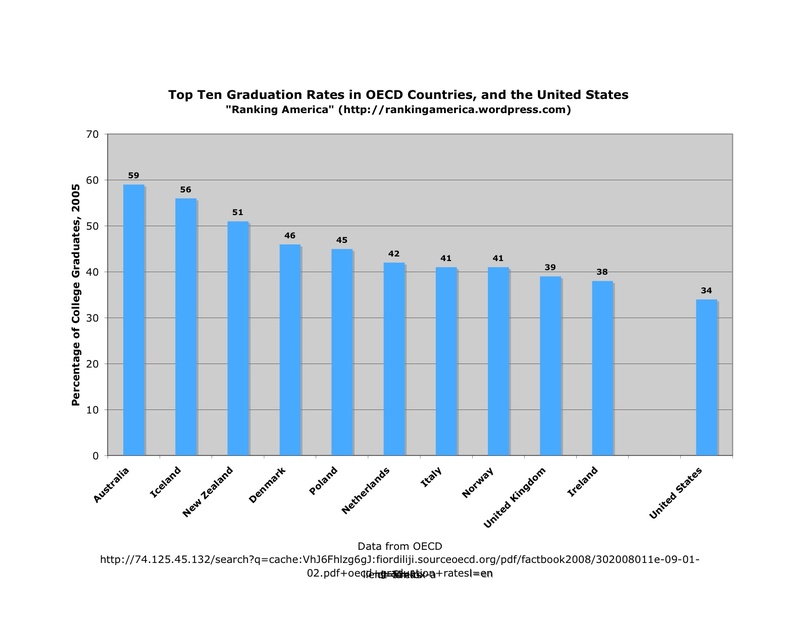 That is enough to make the United States rank twenty-second out of one hundred ninety countries ranked in that category. 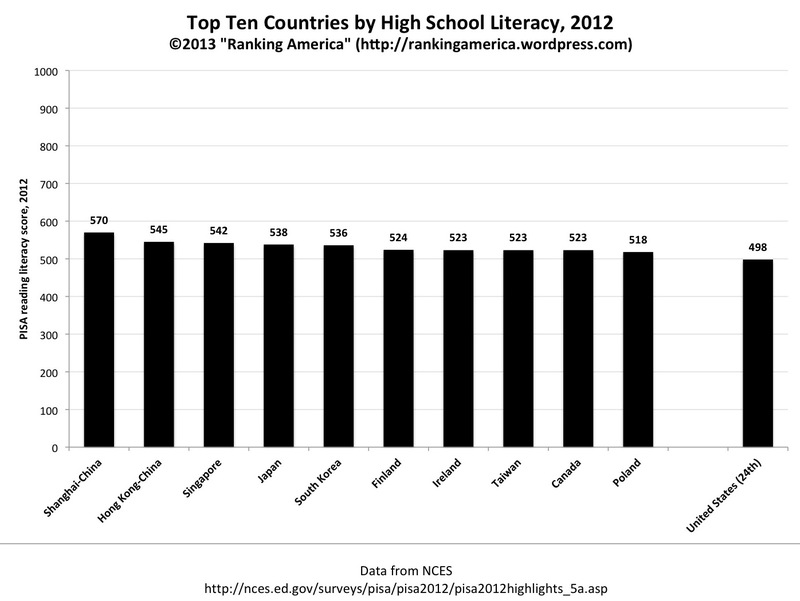 Niue ranked first, with a UV attributable death rate of 2481.51 per 100,000 population. According to the World Health Organization, there were sixteen cases of rubella reported in the United States in 2008, which is enough to make the United States rank rank seventy-fifth in that category. 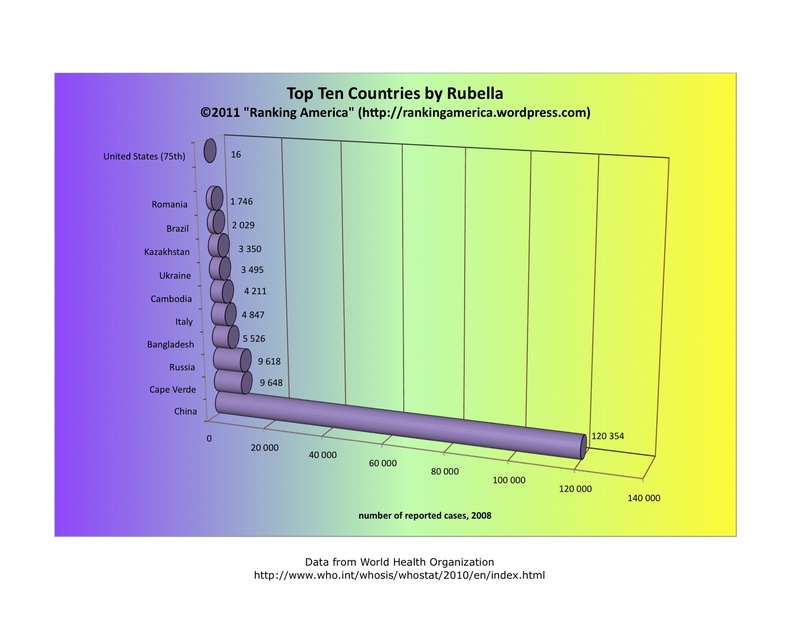 China ranks first, with 120,354 reported cases of rubella. 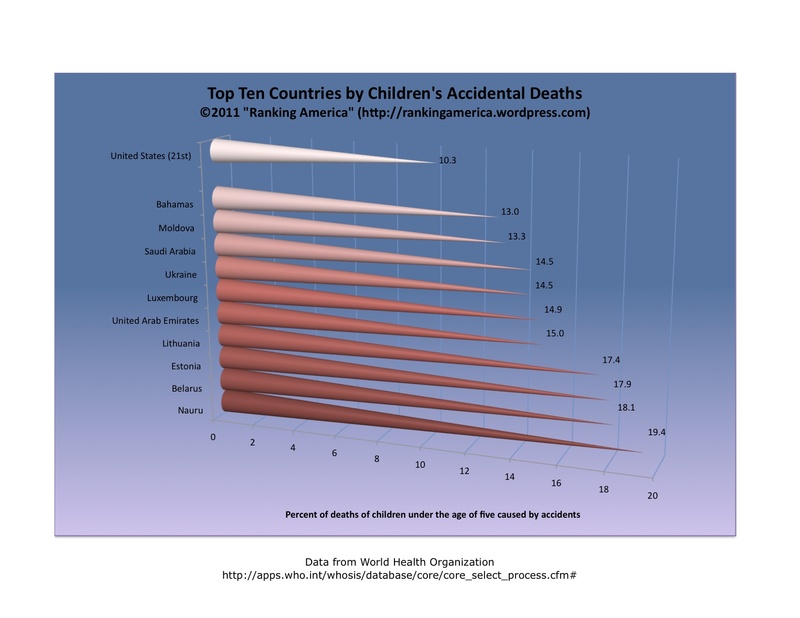 According to the World Health Organization, 10.3% of all deaths of children under the age of five are caused by accidents, which makes the United States rank twenty-first in the world in that category. Nauru ranks first, with 19.4% of all young children’s deaths caused by accident. 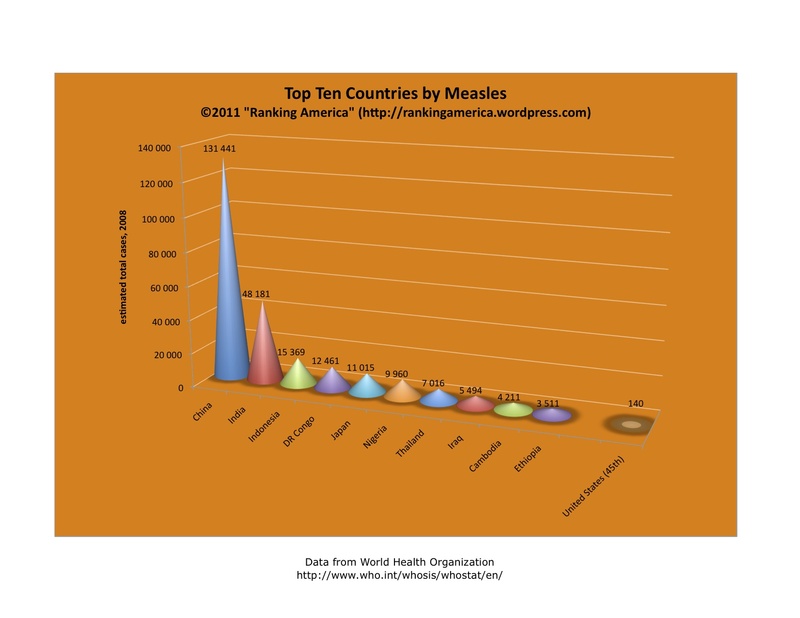 According to the World Health Organization, in 2008 there were 140 cases of measles in the United States, which makes the United States tied for forty-fifth with Zambia out of one hundred eighty three countries ranked in that category. 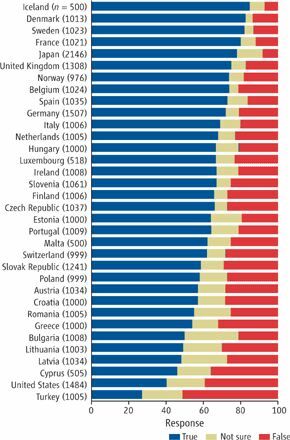 China ranks first, with 131,411 cases of measles. 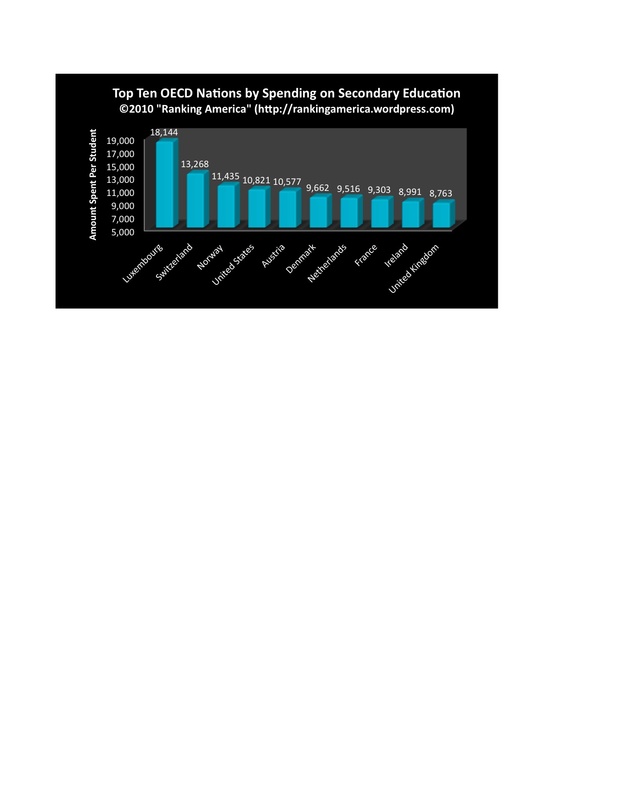 According to the World Health Organization, 54.5% of all healthcare expenditures in the United States in 2007 were privately paid, which makes the United States rank forty-sixth out of one hundred ninety-one ranked countries ranked in that category. 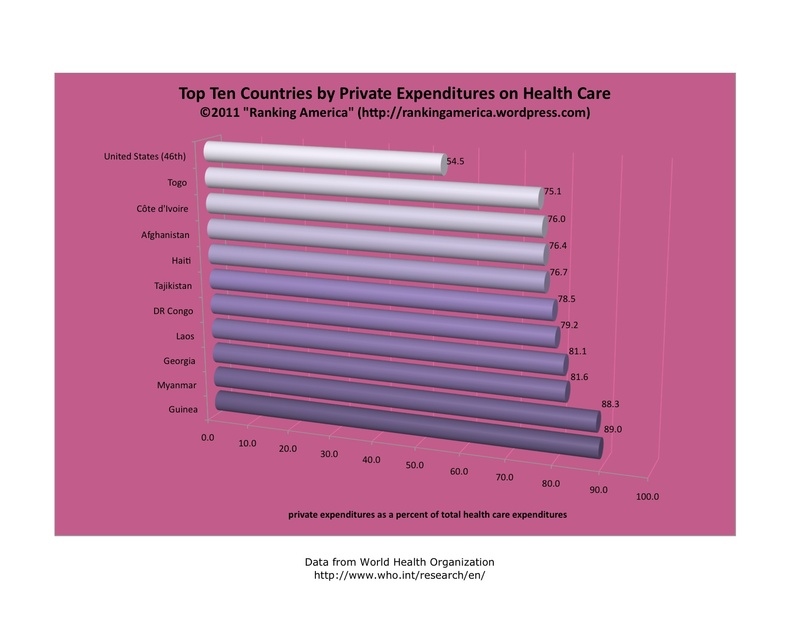 Guinea ranked first, with 89.0% of all healthcare expenditures being paid privately. According to the World Health Organization, in 2008 there were 150 reported leprosy cases in the U.S., which makes the United States rank forty-eighth out of one hundred thirteen ranked countries. India ranks first, with 134,184 reported cases of leprosy. 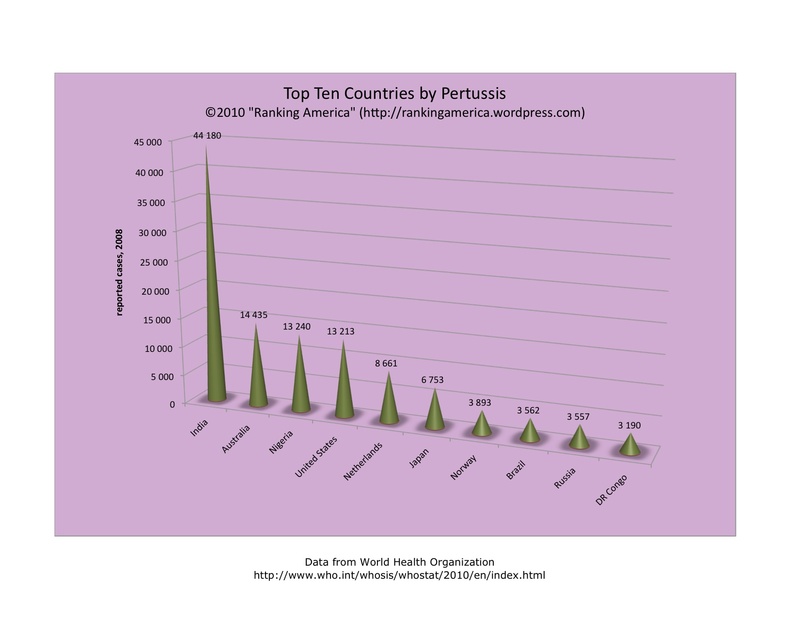 According to the World Health Organization, in 2008 there were 13,213 reported cases of pertussis in the United States,which makes the United States rank fourth out of one-hundred sixty four nations in that category. 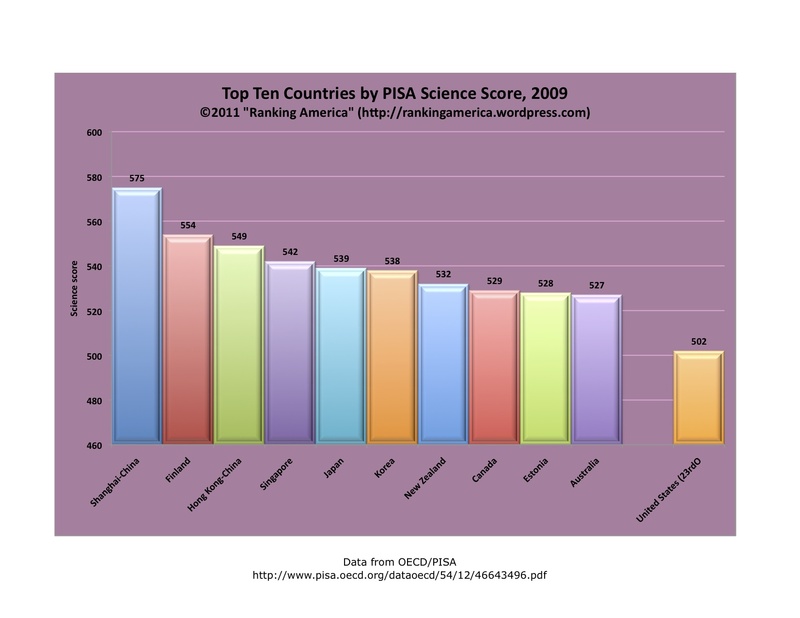 India ranked first, with 44,180 reported cases of pertussis in 2008.